Handmade cards, invitations and gift packaging! This week I decided to play along with the CASEing the catty challenge. 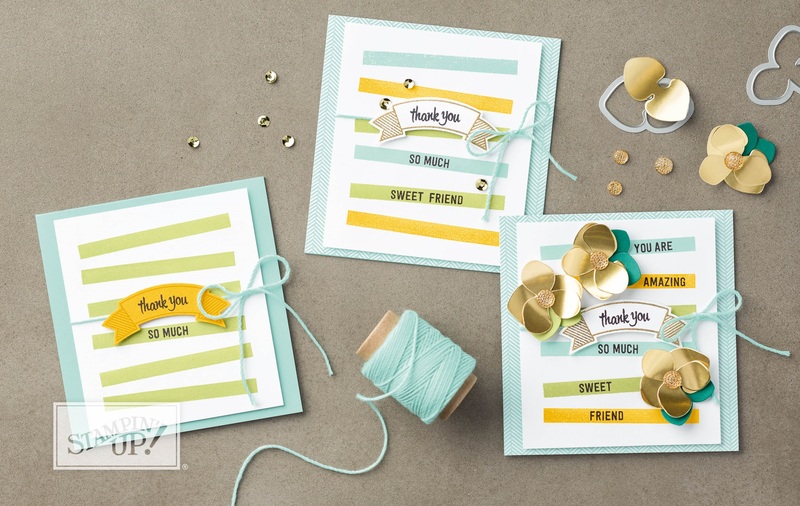 I was inspired by two different cards in the Everyday Occasions section of the brand new Annual Catalogue. The first card that I liked in the Everyday Occasions section were these cards. 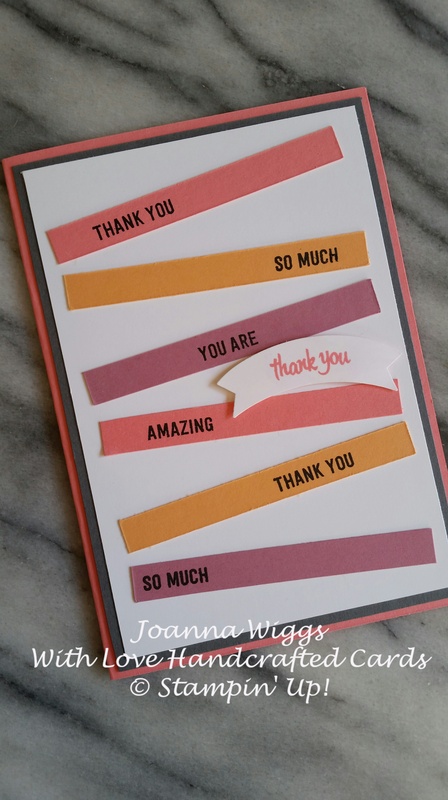 I loved the strips of paper that were used to create an effective thank you card. So I created this card……. I used Peekaboo Peach, Sweet Sugarplum and Flirty Flamingo to create the strips. I love the bright, fresh colour combination. 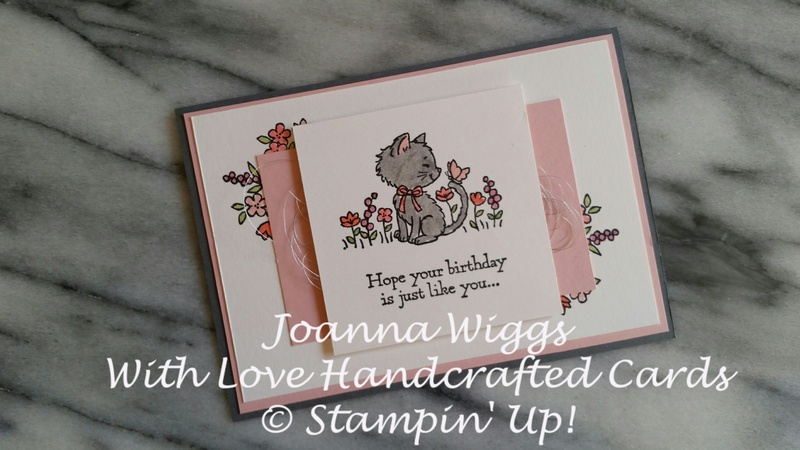 The second card that caught my eye was from one of my all time favourite stamp sets – Pretty Kitty. I just adore how cute those little kittens are. I changed the colours and the ribbon choice to create this….. I sued Blushing Bride and Basic Grey cardstock. I copied the layout but changed the kitten and sentiment. I added silver metallic thread to compliment the card. I love how both cards turned out. Similar colour schemes but completely different looks!!! !